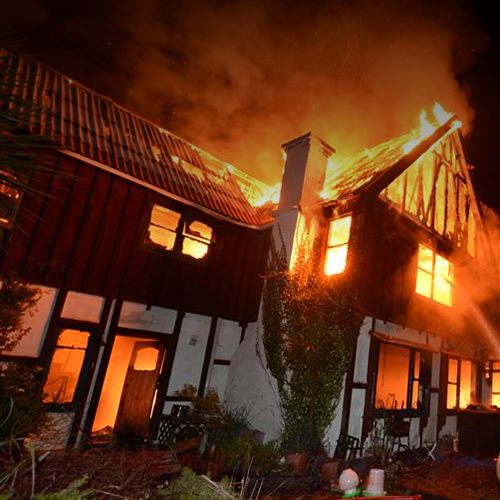 Fire insurance gives the insured the requisite financial protection against assets acquired during his/her lifetime so that in the event of any misfortune the insured would be put in the same financial position he/she enjoyed just before the loss. The Individuals need Fire Insurance as protection against his/her property including buildings, household goods and personal effects. The Organization including Commercial and Industrial entity could insure its buildings, plant, machinery and equipment, stock of raw materials, finished goods and profits. This is our standard Fire Policy which pays for loss of or damage to insured items as a result of Fire, Lightning and Limited Explosion. i.e. Explosions from boilers used for domestic purposes. This policy may be extended to cover the following Extra or Additional Perils at very low rates. Commercial Insurance Fire covers the buildings, plant, machinery and equipment, stock of raw materials, finished goods and profits. Fire covers granted huge Industrial / Commercial concerns can be extended to cover consequential loss or Loss of Profits upon request. This is a specially packaged policy that combines both Fire and Allied Perils and Burglary Insurance for House Owners who live in their own houses at a very moderate price. Under this type of Policy the Company provides cover for the insured against loss, damage or destruction of insured’s property resulting from any accidental cause during the period of Insurance (or any subsequent period for which the Company accepts a renewal premium). This extension covers destruction or damage caused to a building by contact with a vehicle, animal or any moving object not under the control of the Insured. This is an extension which covers destruction of/or damage to property resulting from impact with an aircraft or any article(s) dropped from it. It is the shattering of an enclosed vessel under pressure such as boilers caused by the sudden production or release of a large volume of gas and/or vapour. This extension therefore covers destruction or damage to property resulting from explosion. This is an extension which covers destruction of/or damage to property resulting from hurricane, cyclone, tornado and/or windstorm whether or not accompanied by rain but excluding flood, bursting and overflowing of water pipes, apparatus and the like. This is an extension which covers destruction of/or damage to property resulting from bursting or overflowing of water pipes, apparatus and the like. The policy extends to cover damage to property resulting from the overflowing of natural or artificial water courses. This extension covers destruction of/or damage to property resulting from earthquake and volcanic eruption (fire & shock). Destruction or damage to property insured may be caused by Riot and Civil Commotion, Strikers, lockout workers or persons taking part in labour disturbances or malicious person acting on behalf of or in connection with any political organization. © SIC Insurance Company Ltd. 2019. All Rights Reserved | CHECK MAIL | COLLABORATOR | Powered by Dot House Company Ltd.